Some people get caught up in all the flash and style of luxury vehicles. It seems fun to drive around with the top down in a fancy convertible, but is it practical? You’re a sensible person who doesn’t need all of the extra fluff that some luxury cars come with. You don't have to sacrifice luxury for functionality. Whether you’re in need of a family car or a car that can match your adventurous nature, there are some attractive vehicle options out there. Volvo has been providing drivers everywhere with rugged vehicles for over twenty years. Volvo Cross Country models have been providing drivers with a sporty capability that few other vehicles can match. Any Volvo vehicle is built to handle the extremes. The company began in Switzerland, so their vehicles must be able to survive the harsh climate. Each cross country model is designed to handle almost anything. 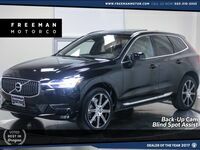 Some vehicles, like the V60 Cross Country, are designed with extra ground clearance and higher-profile tires that make easier to take on rough roads. There are also intelligent features, like a standard all-wheel drive system and hill descent control, that give you command of the road. The V60 Cross Country is also packaged in a stylish and bold exterior that gives the vehicle a look that is as attractive as it is capable. Any Volvo is going to emphasize form and function. They are designed to be the luxury vehicle that can offer what the others can’t. You won’t find another car that is as ready for adventure as a Volvo is. 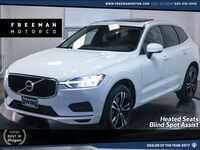 Freeman Motor Company has a selection of Volvo vehicles available. You can stop by to give them a test drive or call ahead with any questions and we’d be happy to help.